Do you know HTML and CSS and want to start developing for WordPress? PHP is the cornerstone of WordPress Themes and Plugins. 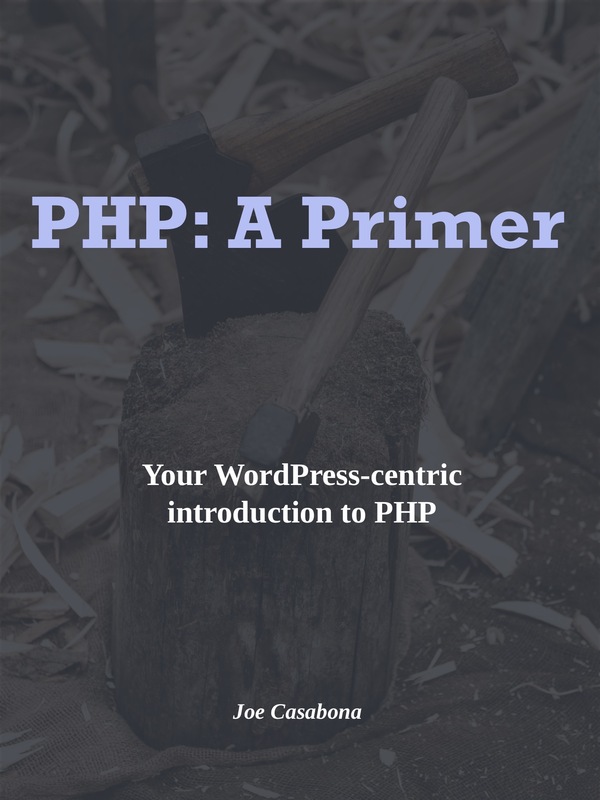 PHP: A Primer will give you a nice introduction to PHP and cover all the main topics to get you started quickly with WordPress development. While it’s not a comprehensive look at PHP, it does save time and show you the basics of PHP, and what you can expect from WordPress code. Q&A STYLE BOOK THAT BRINGS THE ACTION, NOT THE FLUFF. We built the Podcast Starter Kit to give you a no-nonsense kick-in-the-pants, get your podcast launched, 14 cups of coffee headstart. No fluff, no fatty filling, just advice from two guys that make a living creating & monetizing podcasts. We answer the questions we wish we knew when we started podcasting. My co-author and I answer 23 questions in 85 pages, offer advice, checklists, and more. If you want to start podcasting, this is the book for you. 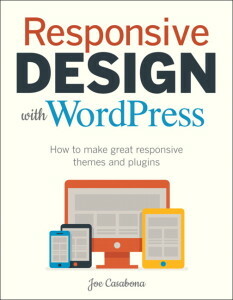 This book shows readers Responsive Web Design principles, and how to develop responsively when using WordPress. Estimates show that WordPress powers 20% of the web. 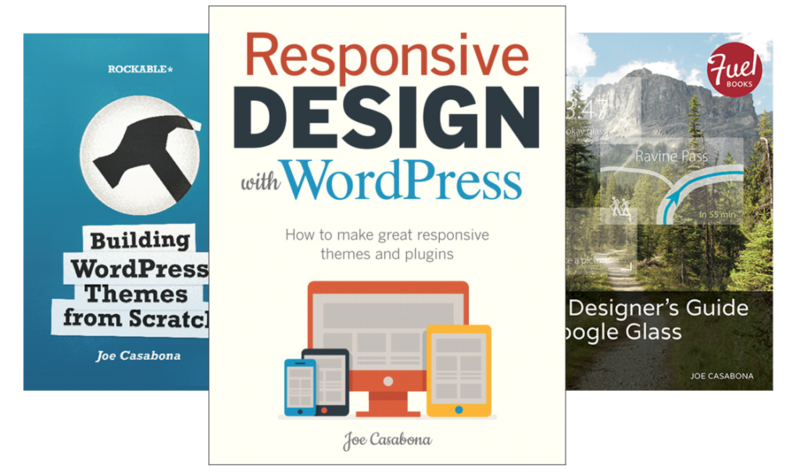 With a greater push towards mobile, WordPress developers want to create responsive themes & plugins. You will learn to plan responsive layouts for common WordPress elements such as Archives, Search, Comments, Navigation Menus, and even Widgets. Also, you’ll see how to account for common web elements that show up frequently in WordPress: forms, Google maps, tag clouds, and much more. 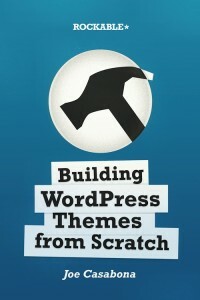 In my literary debut, I walk you through the steps you need to take in order to build your very own WordPress site. We will go through the entire creation process, from Themes to Plugins and more. From the moment I first started using WordPress over 12 years ago, I fell in love with it straight away and immediately started hacking away at it, learning the platform, making my own changes, and watching it grow over the years. In this book, I teach you how to use WordPress, as well as how to leverage the API to create your own custom themes, plugins, and content types. In other words, I will show you how to make WordPress your own. While some of the practices are a bit dated, the principles remain the same. This hands-on guide to optimizing websites for Google Glass will show you how to take advantage of the latest advancements of this tiny screen, including watching videos and viewing forms. You’ll also take a look at the Mirror API and build web-based native apps for Google Glass, and get insightful tips from an expert designer on avoiding web design pitfalls. Other topics include looking at the design of the device, standard terminology, web development, the Mirror API, and the future of Google Glass- how people use it and how they will use it. 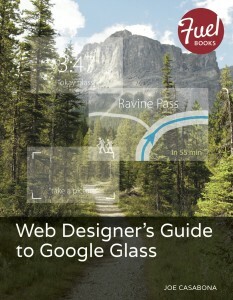 While this guide specifically looks at Google Glass, the principles of "web design for wearables" are an increasingly important idea to keep moving forward.